Be sure to visit our snack bar for a great selection of meals, snacks and beverages. 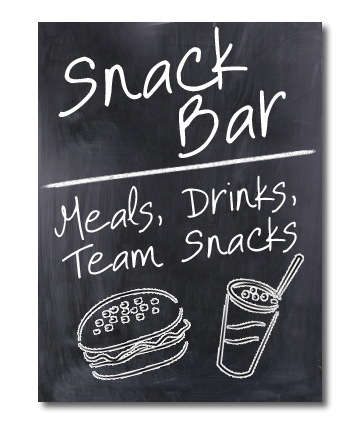 The snack bar can also provide you with your team snack making it more convenient. Please provide as much advanced notice as possible. Weekdays: Hours vary throughout the season. Please contact Snack Bar Coordinator to pre-order team meals or with any questions regarding the snack bar. Volunteers - Thank you for making sure your team’s Snack Bar shift is covered. CMNLL greatly appreciates its volunteers!